Double Take Assignment - conspirators= Valerie Chen and Brett Peterson. Create a simple interaction which causes people on the street to look twice/investigate. 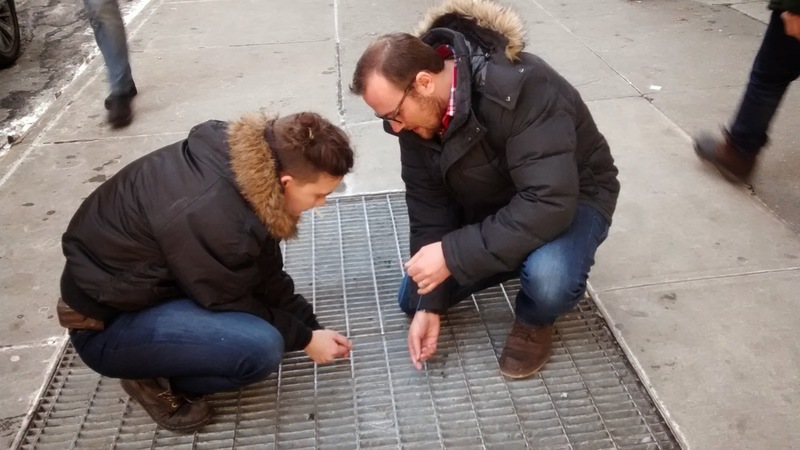 To take a closer look at something mundane, we decided to insert into the many grates on the street, a blinky light message: "U R GR8"
We measured the grate and made a perfboard mock-up. Then we mocked up the lettering to ensure that it was in fact legible. 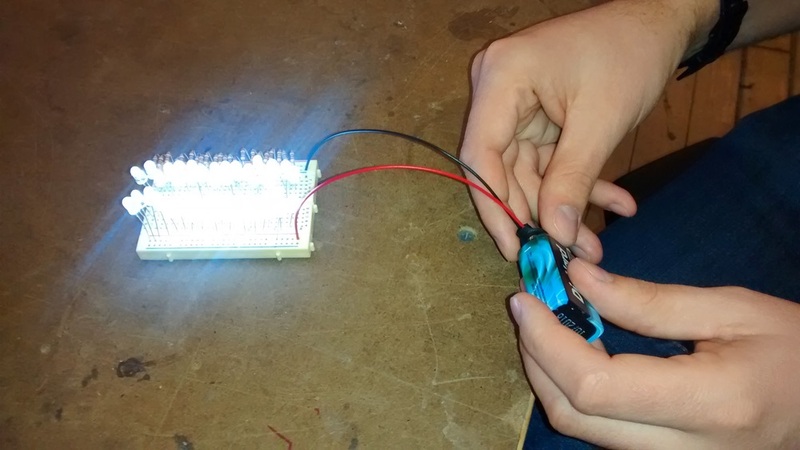 Then I added a 555 timer to make the lights pulse (to increase interest on the street). The actual wiring of this protoboard was perhaps some of the sloppiest I've ever created. It works, and that's what counts. There are 2 LEDs out in this version.